With a huge network of global partner airlines plus its own twice-daily flights to London, Qantas’ Frequent Flyer members have so many ways to travel from Australia to Europe using their hard-earned Qantas Points: but not every path is created equal. Some airlines and routes may require fewer points but can cost you hundreds of dollars more in fees and charges when booking your ticket, while other airlines command more points to book but could reduce the cash ‘cost’ of your trip by hundreds of dollars, or even thousands, for families travelling together. Here’s a look at the three main strategies for using Qantas Points for your European business trip or holiday. If you’re cautious about how many points you’ll burn but still want to fly in comfort, booking your European journey with Qantas, Emirates or even American Airlines can keep more of those points in your pocket, in exchange for paying higher fees and surcharges on the side. 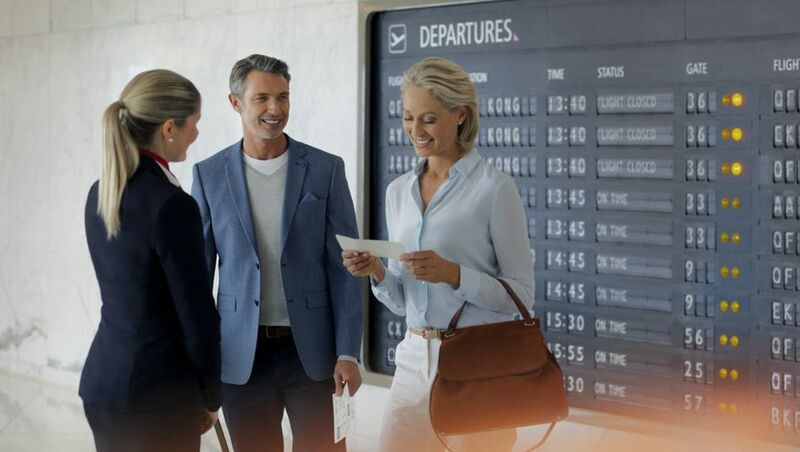 Whichever option you choose, you’d part with 128,000 Qantas Points for a one-way business class ticket from Sydney, Melbourne, Brisbane or Adelaide to most points in Europe, while from Perth with Qantas or Emirates, it’s slightly less at 112,000 Qantas Points. Sydney, Melbourne, Brisbane, Adelaide or Perth to Europe via Dubai with Emirates. Sydney, Melbourne or Brisbane to London via Perth or Singapore with Qantas. Perth to London with Qantas, or other Australian cities via Perth with Qantas. Sydney to Europe via Los Angeles with American Airlines. Sydney, Melbourne or Brisbane to Europe via Los Angeles with Qantas on the first leg, connecting to American Airlines on the European sector under the one reward booking. Taxes, fees and charges vary from flight to flight and are quoted at the time of booking, although expect to pay $800-1,200 per person per return journey for business class. To help ease the sting, passengers travelling to London on a business class or first class Qantas flight – including bookings made using Qantas Points – remain eligible for the airline’s complimentary Chauffeur Drive service, despite other upcoming tweaks to the offering. Booking your pointy-end journey with Emirates before March 1 2019 will also include access to Chauffeur Drive in eligible cities, but you’ll need to secure those arrangements before that date: otherwise, you’ll miss out!. Sitting on a hefty balance of points, or regularly raking in good quantities of points? 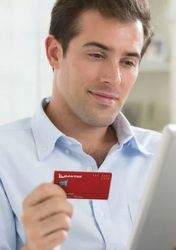 Another option is to spend a few more of those points booking your flight, to pay significantly less cash on the side. This isn’t the same as using points to directly ‘pay for’ the taxes and fees attached to a ticket: it’s choosing to fly on airlines that require slightly more points to book compared to the likes of Qantas and Emirates, but which levy lower fuel or carrier surcharges on points-based bookings. Expect to pay 139,000 Qantas Points for a one-way business class flight to Europe from Australia’s east coast, but with fees and charges on the side in the range of $250-500 return in business class: marginally more points than the alternative, but cutting the cash cost in half. Booking journeys with Cathay Pacific (via Hong Kong), Japan Airlines (via Tokyo) and SriLankan Airlines (from Melbourne to London via Colombo) are some of the best-value examples, as these airlines levy only minimal additional fees on reward bookings beyond the taxes and charges incurred by all travellers. For example, I’ve previously used my own Qantas Points to book Cathay Pacific business class from Paris to Brisbane via Hong Kong – and in addition to the 139,000 Qantas Points required, I only had to pay $169 in fees and charges (one-way) for what was over 24 hours of travel. Another strategy to keep costs at bay when including London in your trip is to fly into London on a long international flight, but to fly home from (or via) another European city. That’s because the UK Government levies hefty Air Passenger Duty charges on flights departing the UK – the longer your flight, the higher the tax, which gets higher again if you’re flying in anything better than economy – so logically, short flights to Europe have the lowest tax: and you don’t pay APD at all on inbound flights. Airlines like British Airways, Malaysia Airlines and Qatar Airways are also Qantas partners and can take you from Australia’s east coast to Europe for the same 139,000 Qantas Points in business class as above: but with significantly high ‘carrier charges’ or fuel surcharges also tacked onto the ticket. That gets even costlier given that from Australia, both British Airways and Malaysia Airlines only fly to London (via Singapore and Kuala Lumpur, respectively), which means that on your return leg, you’ll be slugged even more in UK APD taxes, as UK-Asia flights are taxed at the highest rates and again, even more so in business class. The trade-off is that Malaysia Airlines can be much easier to book using Qantas Points than many of the other options, given Malaysia Airlines tends to release more seats to points-based travellers, and also flies to most major Australian cities. British Airways also regularly releases reward seats within a few days of departure, making it a contender for any last-minute trips, where using points – even with high fees attached – can still make more sense than purchasing a high-priced, last-minute airfare. And then, there’s Qatar Airways, which connects a number of cities across Australia to points all over Europe via the airline’s Doha hub. 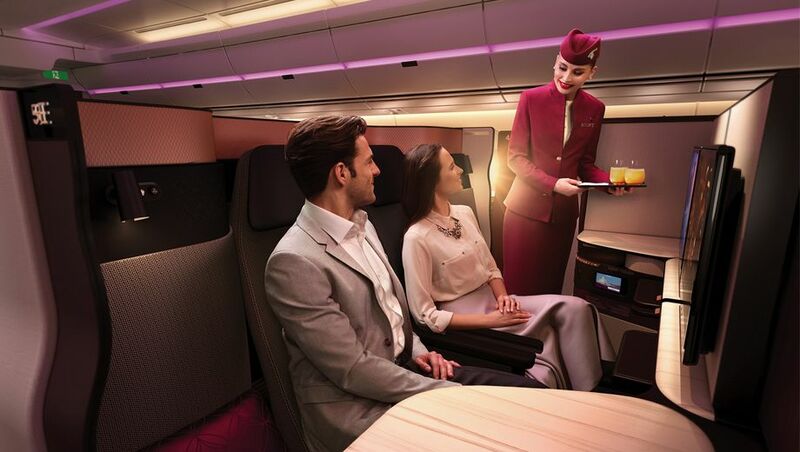 Provided you can find availability, you may even be able to use your points to book Qatar’s business class Qsuites, rated by Australian Business Traveller editor David Flynn as the world’s best business class. In that respect, paying the highest number of points aside significant cash-based fees and charges could again be worth it, given the right circumstances. Or, fly round-the-world for only 2,000 points more! If you’re already planning to spend 139,000 Qantas Points for a one-way business class flight to Europe – 278,000 Qantas Points for a return ticket – keep in mind that for just 2,000 Qantas Points more, you could turn that European adventure into a business class round-the world trip instead! You read that correctly: a round-the-world business class jaunt can be yours for 280,000 Qantas Points, whereas a simple return business class flight from Australia to Europe costs 278,000 Qantas Points on most partner airlines. The big challenge is to be able to find the seats or get them released if you hold Platinum or above. Unless you book nearly a year out there's not much/any hope of getting seats on QF on the Kangaroo route in J/F. If I could get seats now for this year's European summer in J or F on QF on that route I'd be very tempted to book, but it's already far too late to get the seats. Many times made way to HKG as paid passenger even in Y as its a daylight flight and have been upgraded to PE twice. Last trip award flights HKG/JFK return CX 2 x J fees were $192 in total and had a stopover in one of our favourite cites each way, and lots J award seats available too. No mention of Finnair (AY) ex various points in Asia ie. SIN, BKK, HKG or Japan to Helsinki, with a short add-on to LHR? Another interesting option can be SYD/MEL to Santiago SCL on QF / LA with an onward SCL to various points in Europe ie: MAD, FRA etc. although 2,000 points more for RTW is enticing, it's incredibly hard to get availability on all the legs and have it line up to make the booking. And then once you travel on a RTW ticket, you can no longer make changes to the booking. @dlam - was the QF first suites a free upgrade? Otherwise I thought if any leg is booked as a first then the whole RTW ticket is priced at the first class number of points. I wonder if it could have been a seasonal A380 flight where the F seats were sold as Business class. So Business class service in the F seat. Yes that’s precisely it. December 2017 when they had the A380s on the route without selling first. Thanks Chris - great summary. It sounds like Cathay is the sweet spot in terms of points required, fees, product, schedules, plus HKG is a great stopover. It's often the case that CX mostly release the J seats a week or two departure hence making plans in advance difficult. let out China Eastern. it is worth considering as part of Option 2. All sounds wonderful in theory. tried to book two business seats from melb to Stockholm in Sept 19. via Qantas website and call centre with not luck at all. tried many different hubs. Only seats available were eco to Dubai then business to Stockholm. My experience over the least 18 months is its very very difficult to arrange any business seats on any flights via Dubai. if anybody has any secret ways pls let me know!!! Hi dmc, you'll have a few things working against you there. Firstly, Stockholm doesn't see as many Qantas partner airlines flying as some other cities (there's Emirates and Qatar, of course, but with fewer options overall those flights are going to be more popular among travellers flying long-haul on paid tickets, which reduces the pool of seats open to points bookings). Secondly, you're wanting to fly in September which is Australian school holidays and coming off of European summer, when flights are in higher demand (compared to January, for example). Thirdly, Emirates has also been scaling back its flights to Australia, cutting some services entirely or downgrading other flights from the larger A380s to the smaller Boeing 777s which carry fewer passengers, so with fewer seats on board, there'd be less of a need to release seats to people booking using points as smaller planes are easier to fill. My suggestion would be to try searching for flights to nearby cities like Helsinki, etc etc, which opens other options like Finnair, or being willing to fly through London, again opening up more airlines into Europe, even if you have to back-track on BA, and to book just under a year in advance when you can be first-in with making your booking. Comment on "The best ways to fly to Europe using Qantas Points"